I love a good rant about product names. In particular, my favourite thing to rant about has been Nokia product names – especially since it’s something Nokia just doesn’t get. I got an opportunity to rant again about this since Engadget brought up the topic, discussing all the dreadful product names, as well as some of the good ones. When Nokia announced they were going with just numbers, my first reaction was, “why not both names and numbers?” feeling a number only would be just not memorable at all. (Actually it may have been, wtf, why?). As always, I posted back to one of my early rants (in 2009, 3 years ago :o) on the importance of a good product name – at least for the flagship. The name is essential as a “storage” for that product’s reputation…. …and setting it apart to compete with other manufacturers. This helps with advertising by being able to reinforce the identity of the product with imagery related to the name. Names (vs numbers) and names with meaning evoke memories and emotional responses better towards your product. I can understand having these practical numerical designations for lower end handsets, but not mid, and quite inexcusable for the high end. More syllables means more margin for error and confusion. Once you’ve built a good reputation with that handset, you’re gonna want to take advantage of that for its successor. Over time the handset’s name will be an indicator of its pedigree. Keep the name, and you accumulate each new strength of the successor. The name becomes a phrase that’s part of society and every day living. Lose the name and you lose the history. Prime example across the board is iPhone. Simple, two syllable “iGoodness”. Because apple have kept the same moniker despite there being 3 different models across several memory/colour variants, iPhone steadily but surely solidified its reputation as a world class gadget. With each new model it simply just added onto the known success and hype whilst gradually ironing out flaws. All in all, the name is very important. You can’t just give phones stupid freaking names like the HTC Chorizo and the Samsung Evacuate. Both of those are made up, but they could be real products since both of those companies play the game of throw darts into a dictionary. 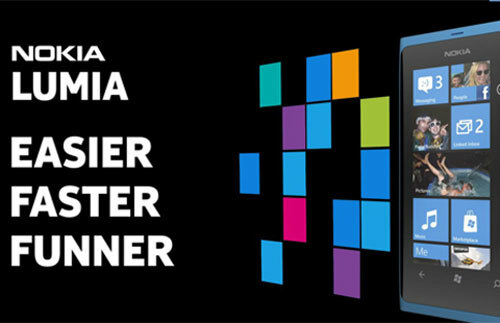 Engadget says the N9 is good in simplicity, but nothing really more than differentiators. They also discuss all the stupid phone names from the Droid makes, asking can you name who the manufacturer is behind, ” Rezound. Rhyme. Vivid. Epic. Sensation. Thrill. Skyrocket. Conquer. Triumph. Enlighten. Infuse. Prevail. Arrive. ” Really, WTF? Engadget reckon the names actually aren’t bad but are just noise. Donald speaks words that chime with what we’ve ranted about. He gives an example that we gave above of the iPhone, how the identity/brand adds to the next version, accumulating all that recognition and reputation. Every time Nokia has changed the name of it’s millions of products, the identity is LOST. It helped a lot that the product was unquestionably, well, good (and that they only really make ONE). But as Donald points out, the consistent naming makes it clear what the Apple smartphone is. Call it envy, but there’s just some frustration each time Apple pulls the “fastest iPhone, most amazing iPhone, best iPhone etc etc” as it’s getting to a point that when people think of smartphones – it’s an iPhone, and they can push the hyperbole on their own brand (which is safe, safer than claiming it’s the best phone though near enough). On that point of course, the name, as Engadget says, is only part of the equation. You have to have a great product too. They say Nokia was once in the category of Leica or MBW where they had some great names with great products (Nseries – the early generation, N95, N95 8GB) but note that Nokia has faltered. (Annoyingly the stupidly named droids aren’t actually all crappy phones). Fortunately they say that starting over with Windows Phone, “LUMIA” is “a pretty good start”. Say what you want about Nokia Windows Phone, allegiances aside, it is a good product for the end consumer. Let’s make it clear that saying X is good does not mean you can assume I mean that Y is bad. Lumia is a good start. Rhymes with Nokia, quirky, memorable, short. If all of Nokia’s Windows Phone uses this name, it would be a great new brand identity for Nokia – light at the end of the bleak tunnel when Nseries dimmed. However, I also fear Nokia will fall for the same mistake of releasing too many handsets, some of which may be dreadfully crap, that dilute and harm the Lumia brand. Should Nokia 900 also be Lumia? Or should 900 have a name of its own? That is the real Nokia Windows Phone that should be compared to the flagships of other manufacturers. Can it carry a new brand of its own and leave Lumia for a different audience?